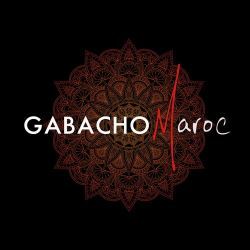 Set up by drummer Vincent Thomas in San Sebastian in 2013, Gabacho Maroc has developed its own flair, using Afrojazz as the stock in a stew that's spiked with ingredients from Moroccan, Arabic and Western music. Gabacho Maroc first album, BISSARA (Label Oued, 2014) earned the band a nomination for the All African Music Awards in 2015. The single “Moussaoui” rapidly attained 40,000 views on YouTube, and was selected by the UK label “World Music Network” for its Rough Guide CD compilation, The Best Arabic Music You’ve Never Heard. ​With a repertoire that is variegated, festive and refined, Gabacho Maroc has captivated audiences all over the world playing more than 150 festivals and venues on four continents. ​The new album TAWASSOL ('connection' in Arabic) featuring some artists like Jean-Philippe Rykiel (France), Pascuala Ilabaca (Chile), Mixel Ducau (Basque Country), Ermanno Panta (Italy) was released in France on January 19, 2018 under 10H10/Cristal Records and is currently receiving a bold interest - N.1 Transglobal World Music Chart/ March.